Recycling Works: Can I Recycle Hangers? 1903. He was an employee of Timberlake Wire and Novelty Company in Jackson, Michigan. Parkhouse created the device that we now know as the coat hanger because co-workers had “complaints of too few coat hooks. He bent a piece of wire into two ovals with the ends twisted together to form a hook.” He patented his invention but it’s not known if he actually profited from it or not. Others over the next few years added improvements to the basic hangers like cardboard tubing screwed to the upper and lower parts to prevent wrinkles, another design with a tube on just the bottom of the hanger, a design that is still used today, and even a hanger designed out of wood invented and patented by Thomas Jefferson. Hangers are now, in some fashion or design, in every household across the United States and probably much of the world. 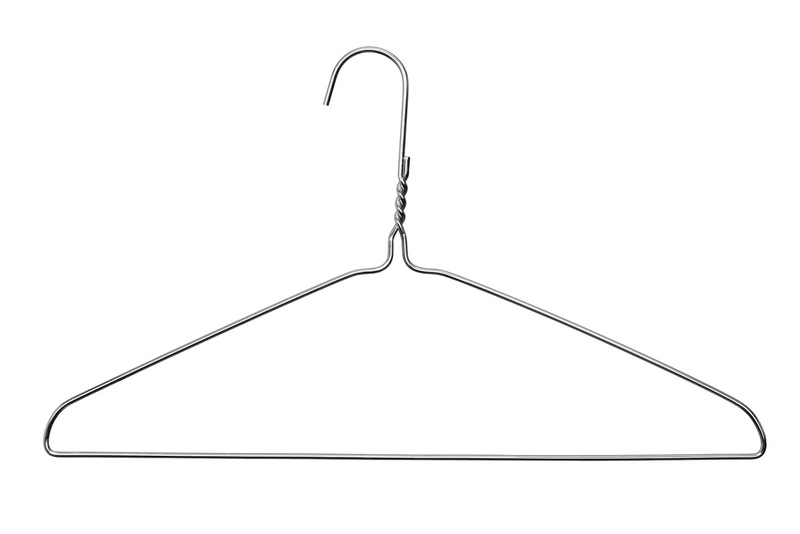 What should be done with hangers when we no longer need or want them? Depending on the type of material from which they are made, there are a few options for you. Wire hangers, although aren’t recyclable by conventional means in residential recycling centers, can be taken to your local dry cleaners to be reused. This way you get rid of your unwanted hangers and the dry cleaner doesn’t have to continue to buy more hangers. This gets costly and uses up raw materials in their manufacturing. Plastic hangers aren’t recyclable in most recycling centers either. They are made from a blend of plastics and could possibly be a mix of plastic and metal. Their shape alone could “hang up” the recycling machine’s conveyor belts. Wooden hangers are usually a mixed commodity and should also be either reused or thrown into your regular trash. Generally speaking, reducing our consumption and reusing what we can are the best options for hangers.